Srinagar, Feb 7: Train service was on Thursday suspended in Kashmir valley due to fresh snowfall since last night, a railway official said. 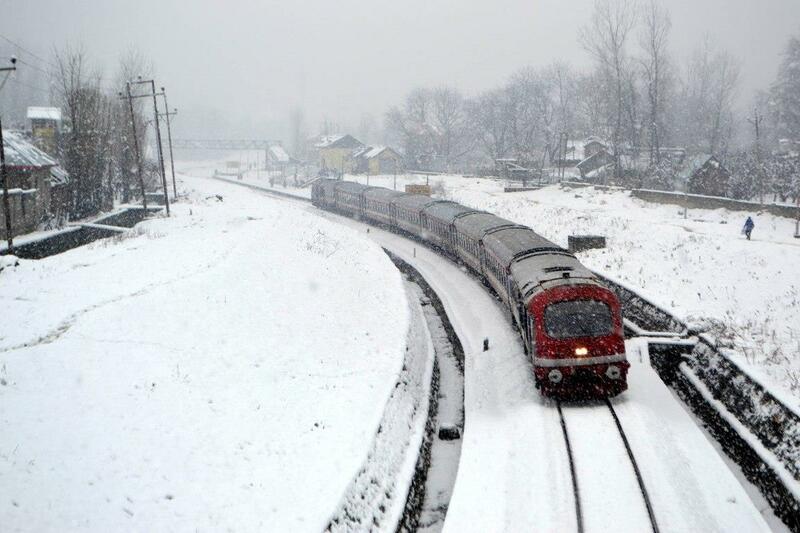 “All train runs in Kashmir valley were suspended as all tracks are under snow,” a senior railway official told TNN. He said therefore no train will chug on Srinagar-Badgam and Baramulla in north Kashmir. Similarly, all trains on Badgam-Srinagar-Anantnag-Qazigund in south Kashmir to Banihal in Jammu region have been suspended due to moderate to heavy snowfall. However, he said, once the snow stops, snow clearance operation on tracks would be started to restore train service. Train service has become very popular in the valley because it is being considered economical, fast and safe against other modes of transport.